You can pay cashless with your student ID card in the Mensa lunchrooms and cafeterias of the Studierendenwerk as well as at the vending machines, washing machines and dryer terminals in some of the student residences. Cashless services at the universities like printing, copying and library fees can be paid for with the chip card. You can top up your card at the cashless top-up terminals or at the cash top-up terminal in room 215 (diagonally across the Info Point). Students and staff receive discounted prices when paying with their chip card. Paying cashless makes the payment process faster and easier and ensures that only eligible people receive the discounted Prices. Sometimes, the card will display an error code during payment. The card was retrieved to quickly at the last machine, often photocopier or check-out point, disrupting the reading process. Please go back to the same machine and place your card on it again. This completes the process and unlocks the card. Insert the card again and wait for about 10 seconds until the device returns the card automatically. The process is now complete and your card reactivated. If you retrieved your card too quickly and the cashier puts it on the reader again, it will be displayed as unlocked at this check-out. However, sometimes it will then only work at that specific check-out. Please go to the Info Point for assistance. There are outstanding payments. Please make a payment in cash at the Info Point. For any other error messages, please contact the Info Point or the accounting department. If you know your card number from your "Datenspiegel" (personal data sheet), which you received together with your card, you can unlock your card by phone. Most facilities are cashless. This means that you need to obtain a guest card. Guest cards are available for a €10.00 deposit. Please top up your guest card before you use it to pay. When you return the card, you will be refunded the deposit and whatever amount is left on the card. You can obtain a guest card for all facilities at cafeteria A and from the Studierendenwerk, room 109 in the basement below the Mensa lunchroom. Guest cards are available at the Mensa lunchroom and cafeteria. Guest cards are available at the respective Mensa lunchrooms and cafeterias. Available upon termination of enrollment or employment only. Please bring the confirmation of the termination of your enrollment. Alternatively, you can contact the Info Point where your balance will be identified and the cashier at the cafeteria check-out will be instructed via phone to pay out your balance in cash. A refund is possible only upon presentation of the card – the chip card is like cash! 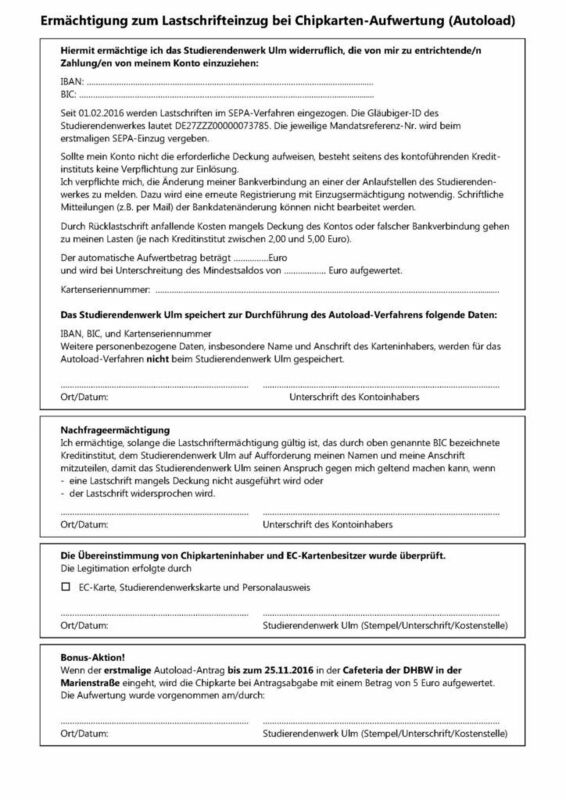 Please apply for a new card at the Studiensekretariat (student administration and examinations office). You will need to provide a photo and pay €15 (usually within 1 day). Take both cards to the Info Point. They will transfer the money from the old to the new card and retain the old card. Please apply for a new card at the Studiensekretariat (student administration and examinations office). You will need to provide a photo and pay €15 (usually within 1 day). Because the new cards have 18-digit numbers, you need to bring the "Datenspiegel" (data sheet) of the old card with the 7-digit card number. The old card will be retained. The chip card with money on it is like cash. If the card is lost, so is the money. The remaining balance cannot be refunded. The chip card with money on it is like cash. If the card is lost, so is the money. Autoload cannot be transferred from the old onto the new card, because of the new card numbers. Please set up a new Autoload for the new card. Don't forget to bring your EC card for this. Medicine students who work in the surgical ward pay guest prices when eating at the Casino OE. They receive discounted prices at the Mensa lunchroom of the Studierendenwerk. The Casino at Michelsberg still offers discounted meals. The required chip cards are issued by the clinic directly. Please go to the clinic administration for assistance. You can top up your card at the Info Point at the University. The Info Point Team helps you if you should encounter problems with your chip card! Autoload is a setting that tops up your chip card with your approval at every check-out whenever you reach a predetermined minimum. The top-up amount will be deducted from the bank account that you provided. This saves you having to use the top up terminals. Where Can I Use Autoload? 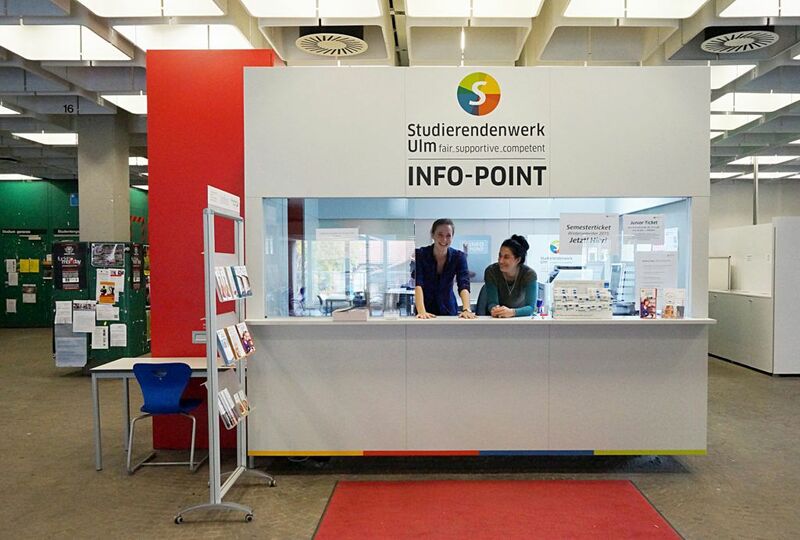 Autoload is available at all universities that are services by the Studierendenwerk. How do I set up Autoload? You need to register at one of the contact points (see below). Please bring your EC card and your chip card plus a photo, or your EC card, chip card and some form of official ID. You get to choose the automatic top-up amount (min. €10) and the minimum amount at which you want to top up. Mon - Fri 10.00 a.m. - 2.00 p.m.
Mon - Thu 7.00 a.m. - 4.00 p.m.
Fri 7.00 a.m. - 2.00 p.m.
How Do I Set Up Autoload? You need to register at one of the contact points. Please bring the filled-out form, your EC card and your chip card plus a photo, or your EC card, chip card and some form of official ID. You get to choose the automatic top-up amount (min. €10) and the minimum amount at which you want to top up. The automatic top up is available at the check-outs in all gastronomic facilities (except the LeckerMobil). The EC top up terminals require your EC card to top up. Amount, limit and bank account can be changed at any time. 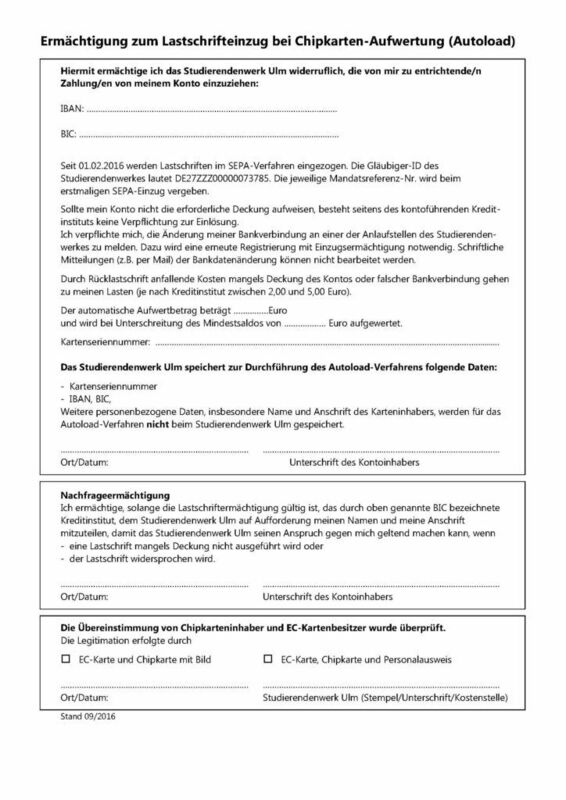 Please go to one of the contact points (see below) or send an e-mail to chipkarte(at)studierendenwerk-ulm.de. Changing the bank account requires anew registration with direct debit authorization. Withdrawal of the direct debit authorization: Either in person or by e-mail to the contact point. We require your card number (was noted on the copy of the direct debit authorization) and the previous account number. What if I lose my chip card? If you have lost your chip card, you need to put a block on your card. Please bring your EC card for this. The block automatically cancels the direct debit authorization. The credit on the card cannot be refunded if the card is lost – it is like cash.